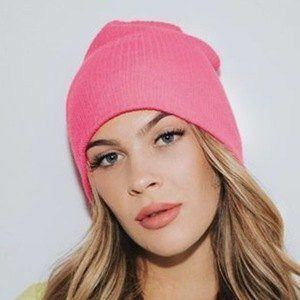 Content creator on YouTube who shares a channel with her identical twin sister Payton Caci called Caci Twins. They publish story time videos to go along with challenges, fashion hauls and identical twin experiences for their 480,000 subscribers. She and Payton created their channel in January of 2015, uploading a first video, "Meeting the Caci Twins! // Identical Twins" in March of 2015. She is a cheerleader and enjoys doing yoga. She and her identical twin sister Payton are from Las Vegas, Nevada. She is older by one minute over Payton. She and Payton posted a video called "How To Dutch Braid/Like Khloe & Kim Kardashian."